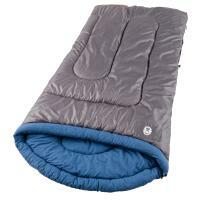 'Infin8T' is the new fabric of Snugpaks' flagship 'Softie' range of sleeping bags. 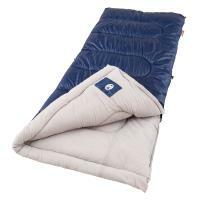 It has a new luxuriously textured finish and incorporates the special Infin8T weave, designed specifically for SnugPak by long term fabric partners, Perseverance Mills, manufacturers of Pertex®. 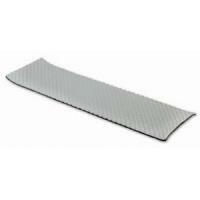 Pertex® Is the brand name for Pereseverance Mills UK made, high performance, lightweight nylon. The brand leader in sleeping bag casing fabrics Pertex uses many thousands of bundles of microfine yarn within its construction. The capillaries created between these yarns actively draw moisture away from the source and spread it across the surface area allowing it to more readily evaporate. As the moisture is evaporating from the fabric, and not from the occupant, chilling is dramatically reduced. Softie or 'superfine high-thermal' is a combination of fibres with different crimp systems and surface finishes. Some are crimped, some are curled and some just left as they are. The random nature of the process results in a product that closely resembles the structure of natural down and the way it performs. The yarns used are staple yarns as in natural insulations (as opposed to continuously extruded as in most synthetic fills). The fibres have now been updated with special binders and treatments for an excellent combination of softness and durability. 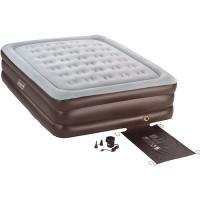 Softie is extremely lightweight, and has excellent re-loft abilities, when unpacked. Profiling - This bag is a 'profiled' (unquilted) bag which uses the 'no stitch through' method of construction. 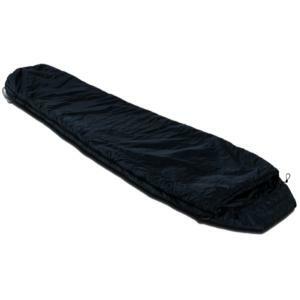 Most traditionally constructed sleeping bags have quilted stitches to hold the bag and fibres in place. Whilst developing new resins to enhance the softness of our bags we came across a blend which gives a remarkable degree of strength and structure, with self supporting fibres, allowing us to remove all the stitch lines and cold spots that can occur with quilted bags. It also helps with re-loft as the 'Softie' filling is not held back by stitches. We estimate that by 'profiling' we have increased the loft of our bags by up to 30%, without adding anything to the weight or packsize. Additional features include; Compression stuffsack, Layering capability, Snugfit hood, Zip baffle, Circle foot, Hanging dry tabs, Anti-snag zip two way zip.